CyberHound provides all the support and services, from internet filtering to classroom control, for Primary Schools to create safe digital classrooms and learning environments. CyberHound provides complete protection for students through it’s ultimate Learning Enablement Platform. By simplifying the complexity of managing online activity, it allows you to focus on teaching. CyberHound provides Primary Schools with the ultimate Learning Enablement Platform, offering complete protection for students. It has been designed in Australia to simplify the growing complexity of managing online activity in primary schools – for example the use of eLearning tools, web browsing, or application use. With the CyberHound solution in place you can focus on teaching while we take care of the IT needs to deliver reliable and safe internet experiences, making it easy for teachers and students. 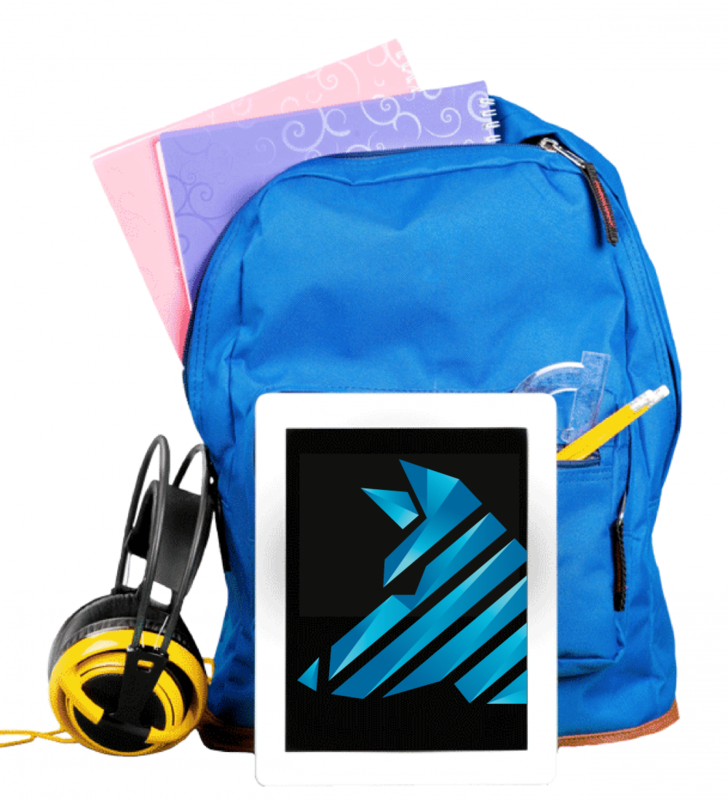 CyberHound’s solution for primary schools has been packaged to deliver all the tools and services a school would need. It includes a fully managed service that can be bundled with internet connectivity. Accessing Wi-Fi, using BYO Devices, preventing inappropriate online. We take care of managing the service for you, to save you time and money. An all-in-one solution with full, locally provided support that can also help prevent expensive internet upgrades. Intuitive technology that integrates with your learning management system, giving you control and visibility in the classroom, as well as enabling new content to be used in class. For all internet use including web and applications. Predictable costs – no additional ongoing support costs. Any changes can be easily requested and we take care of it for you. No need to worry about holiday or sickness cover – we are always here for you. We set it up for you using a best practice implementation model we have developed over many years of working with primary schools. No need for IT training – we take care of the solution for you. a solution that met the particular requirements. 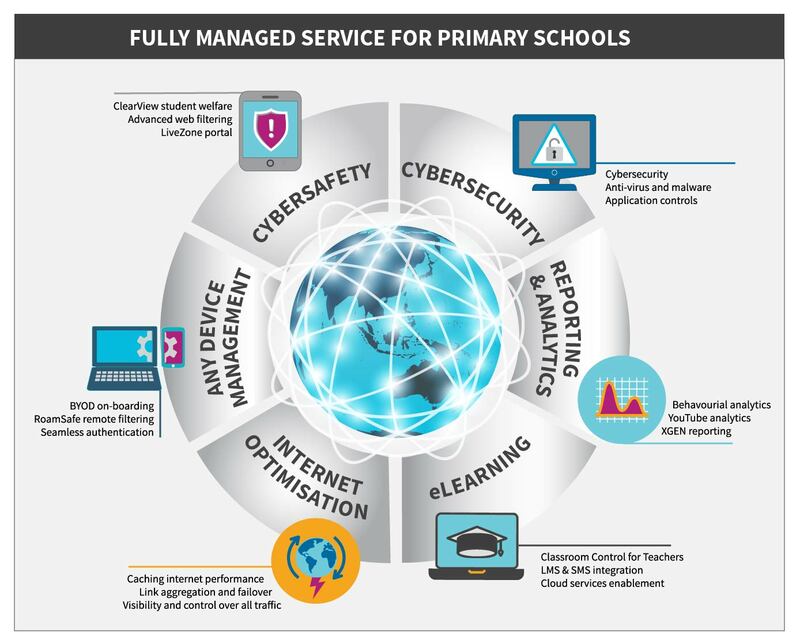 We offer primary schools a fully Managed Service, ensuring their CyberHound solution is optimally implemented while removing the administrative and technical burdens for school staff. Our Managed Service provides proactive monitoring and recommendations, ongoing enhancements, online change requests and complete peace of mind for school executives. Technology helps us to nurture 21st century learners who are cognitively nimble, creative problem-solvers and adept seekers rather than possessors of knowledge. CyberHound’s intuitive technology helps to protect students in a safe online environment where the teacher is control of what they can and can’t access. CyberHound is able to deliver reliable, high-speed Internet connectivity solutions to primary schools right around Australia. This includes backup links at low cost. By bundling your internet and CyberHound solution, you’ll save time and money while receiving the ultimate in security, cybersafety, connectivity and digital learning tools. It can all be billed monthly as well. Make sure your classrooms are fully enabled to embrace digital learning and organise a Digital Risk Assessment. 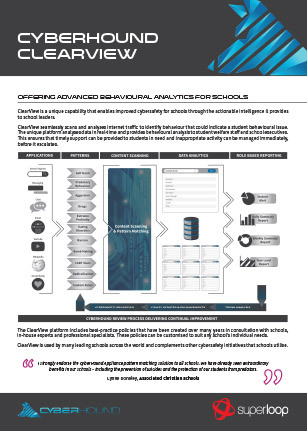 Below are some downloadable datasheets outlining ways CyberHound can help Primary Schools. Protect students from online risks. Provide customised access to certain websites and applications in compliance with the school’s online policy – on and even off campus. Apply different policies to each year group. Enforce Google and YouTube safety tools. Identify any at-risk online behaviour.